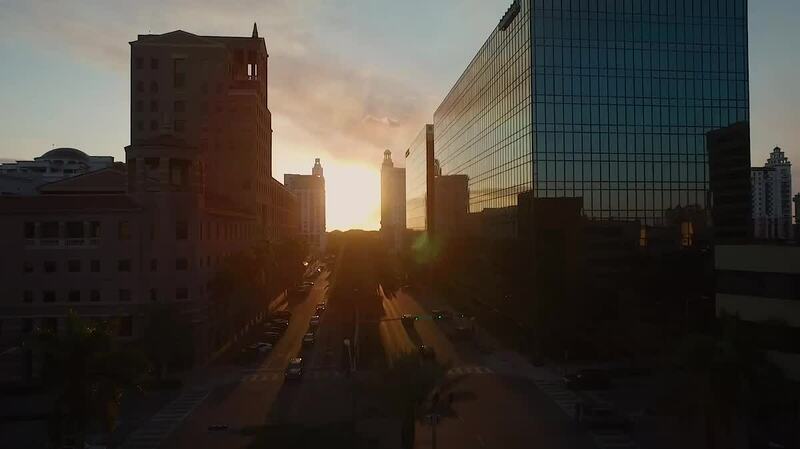 ContemporAd created this short but highly cinematic drone video of Coral Gables, a suburb of Miami. Located to the southwest of downtown Miami, Coral Gables was one of the country's first planned communities. It was near the epicenter of the great Miami land boom of the 1920's, which ended with the devastating 1926 hurricane. Coral Gables is also known as the home to the University of Miami, one of the largest educational institutions in the area and a perennial college football powerhouse. Description: Personal Project: Beautiful sunsets reflected on buildings full of mirrors in Florida. 4/7 "The Gables"